If Lord Freud would like this change in legislation to be seen as anything other than an undeserved and unjustified attack on the disabled, I am afraid he has to reason his case better than this. This policy has not been thought through very well and looks like a knee-jerk reaction to cut benefits payments regardless of consequences. 1. The clue to the purpose of NI contributions is in its name. It was conceived and always has been an insurance against certain unfortunate events that might arise in one’s working life, so the Minister cannot now change the terms on a whim. If the same were to happen in the private sector it would be classed as mis-selling and require financial compensation, so what is the Minister offering as an equivalent here? 2. I can understand his concern about people who may have made few contributions over a short period but claim substantial benefits over a long period, but if legitimate, this is what a compassionate society does. There is however no reason to effectively penalise their counterparts who have made contributions over most of their working life. If this was a genuine concern, he would have geared the input and outputs accordingly. 3. Providing the necessary support to the people who are worst affected is clearly important, but it is inconsistent to do this through the contribution-based benefit, particularly as the Minister claims to have concerns about the correlation between NI contributions and contribution-based payments. This rather undermines his logic and casts doubt over his motives. 4. There appear to be only two classifications of illness – permanent and temporary and the dividing line falls at 12 months – a totally arbitrary time limit based on no data or evidence whatsoever. With some conditions, recovery within 12 months may be perfectly reasonable in the normal course of events, but clearly not with others. The fact that recovery might take longer than 12 months obviously does not necessarily make the illness permanent. 5. This policy discriminates against the elderly where recovery times are generally longer. Ironically, this is also the group that have probably paid most NI contributions. 6. 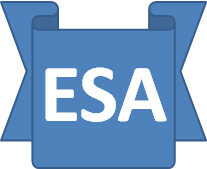 Yes, income based ESA is still there, but the qualification bar particular as regards savings is extremely low. The Minister well knows the pressure the Government is placing on pensions and is encouraging us to save for retirement, but then expects us to use those saving prematurely when it suits. 7. The Minister refers to the right help and support. I have been to my local JC+ and they had no idea what this means. Previously I had been pointed towards Working Links who likewise were no help whatsoever. 8. The notice offered for this change in itself is inadequate and effectively retrospective. At the very least, the clock should not start running until the proposal becomes law. This might not be so bad if the Government was adopting the same aggressive approach to high earners, but this is not the case. Rather the reverse, where for them the Government is following a policy of lower taxation. If the Minister is so keen on leaning more heavily on means testing as the basis of benefits payments, where on his agenda do the other non-means tested benefits fall, including of course the state pension? I think I am right in saying that Sir Richard Branson and I both have the same state pension entitlement? Also, where on his list of priorities are dealing with the ESA payments made to convicted mass murders and the benefits paid to families of migrant workers only one of whom might have spent as little as 6 months working in the UK? I am afraid that there is no way to interpret this policy other than the Government has picked out a relatively defenceless group that it regards as an easy target.